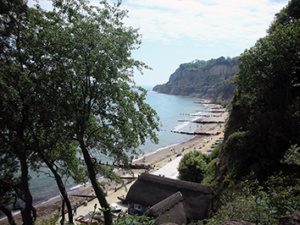 Almost half is a designated area of outstanding natural beauty and it has more than sixty miles of coastline with coastal paths which form some of its 500 plus official walks. The island attracts record levels of sunshine for the UK and has a variety of beach resorts to suit every taste. Enquire about weekend or midweek short breaks. Two newly refurbished apartments in the village of St Helens on the East coast of Isle of Wight situated between the historic Village Green and the coastal nature reserve of St Helen’s Duver, The location is ideal for making the most of scenic coastal walks and sandy beaches, whilst retaining easy access to local restaurants and village amenities. 1 Drayton Villas, Newlands, consists of 2 refurbished one bedroom apartments, each with one double bedroom, living room including well-sprung sofa bed, fitted kitchen and bathroom. 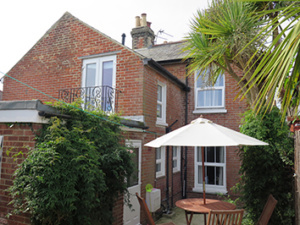 The first floor flat has full-size windows which open onto view across the Downs to the sea(almost a balcony), and the ground floor a sheltered garden complete with furniture and BBQ. Both flats have the benefit of WIFI.